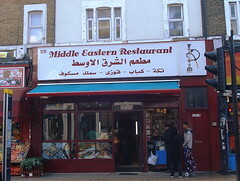 Middle Eastern restaurant on London Road. It opened in September or October 2014. Last edited 2018-12-25 16:51:22 (version 31; diff). List all versions. Page last edited 2018-12-25 16:51:22 (version 31).